starworlds: Blue Moon -- Happy New Year 2010! This year ends under the influence of a blue moon in the sign of Gemini. The month of December winds down with two symbolic themes reoccurring: blue and Gemini. As I discussed in previous posts the color blue permeated media images of the Norway spiral, the Nobel Prize ceremony, the COP-15 conference, and the Na'vi from the movie Avatar (thanks to Andre Heath for creating this cool collage). The blue moon is another opportunity to shower us with a blue vibration that may trigger indigo and luciferian consciousness. The term 'blue moon' generally refers to the second full moon in a month and occurs once every 2.7 years. We have blue moons because our calendar system was changed from a lunar year with 13 months of 28 days to a solar year with 12 months with various days. 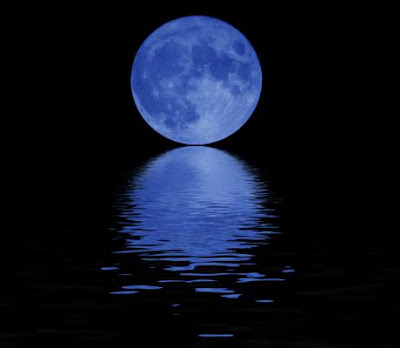 There are 13 full moons in a solar year, and the left over full moon becomes a blue one. The last blue moon to shine on New Year's Eve was 19 years ago, in 1990 and the next will be in 2028. However, the moon will not actually be blue, except in retouched photos. The phrase 'once in a blue moon' really means an impossibility, as in never happening. So the convergence of all these improbable events and phenomena is intriguing. Are they all an illusion? Or is something impossible about to occur? The Gemini theme first appeared during the Geminid meteor shower in mid-December. The annual Geminid meteor shower gets the name 'Geminids' because it appears to radiate from the constellation Gemini. I discussed the name of its source, a comet/asteroid called Phaeton who was the son of the Sun God, Helios. This story relates a solar theme popular at this time of year: a father Sun god sacrificing his own son to save the Earth and mankind. The meteor showers symbolizes pieces of Phaeton's exploded chariot falling to Earth. It is intriguing that this Gemini full moon falls in the nakshatra of Ardra which is associated with the blue star, Sirius. 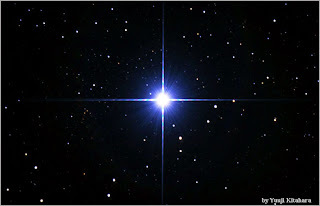 This star is also connected to a sacrificial themes throughout many ancient and modern traditions (Egyptian - Osirius, Greek-Orion, and even new age--Christ consciousness) and even figures prominently in UFO lore. The Hindu myth associated with Ardra revolves around the story of the demon Taraka who practiced severe austerities in order to receive the gift of 'undefeatable power' from Brahma. Thus Ardra's gift is yatna shakti, the power to make gains in life through great effort. Once Taraka attained this power, he turned around and began to oppress the gods. Could this reversal of power also be happening now? Have humans attained enough knowledge that they are turning on the gods, our ancient alien progenitors? According to the Hindu story, the gods began to fear Taraka's power, and responded by imploring Shiva to do something about this terrible threat. 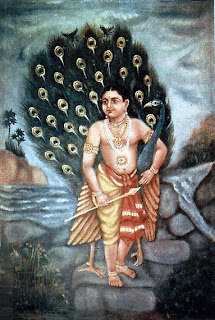 Shiva created a champion, Karttikeya or Skanda, to combat Taraka. After spending his formative years with the seven sisters, in the refuge and training ground of the Pleiades, Karttikeya went forth and battled Taraka. 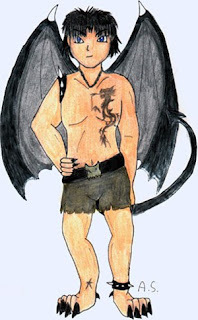 Karttikeya was able to destroy the demon, and so rescued the world. The story of Taraka is similar to the Greek myth of the Titan Prometheus, who stole fire from Zeus and gave it to man. Zeus was so furious that he sent Pandora, the first woman, to live with man. 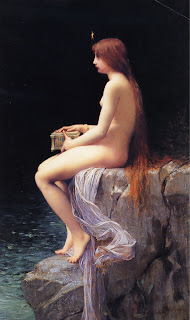 According to Hesiod, each god helped create her by giving her unique gifts. Zeus ordered Hephaestus to mold her out of Earth as part of the punishment of mankind for Prometheus' theft of the secret of fire, and all the gods joined in offering this 'beautiful evil' seductive gifts. According to the myth, out of curiosity, Pandora opened a jar, commonly referred to as 'Pandora's box' that contained all evils that would later plague mankind. By the time she closed the jar, only hope remained. So like the Biblical Eve in the Garden of Eden, a woman's curiosity was responsible for bringing sin and evil into the world. Is this why calendar makers shifted from a Pagan lunar calendar to a Christian solar calendar? But according to the gods, original sin is the desire for knowledge and light? So what kind of gods were they -- to be fearful that their children be full of light and knowledge? 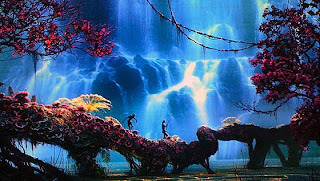 I have yet to see the movie Avatar which takes place on a moon called Pandora, but I have a feeling I might see similar themes all cast in a blue hue. Today's full moon will also undergo a partial lunar eclipse by the south node, Ketu. Its psychic effects are unpredictable ranging from the gift of new insight to the release of repressed emotions. As Ketu is a moksha karaka, or indicator of enlightenment, its power during this eclipse may be to release this spiritual energy. A New Years meditation may be more powerful than a glass of bubbly this year, but either one will release the power of the blue moon. Excellent. Btw ardra is Shiva in the form of rudra. Orion's shoulders. How are you with Navamsa charts? What do u make of Saturn in Dhanus Navamsa? Though I generally am most intrigued by the nakshatras, and focus on the rashi, I occasionally look at the harmonics to validate or see higher purpose or past life issues. An interpretation of Saturn in Dhanus in the navamsa would depend on the nakshatra, what house it falls in, and its condition in the rashi. Generally Saturn is a little uncomfortable in Jupter's signs because their natures are so different (ie contracting vs expanding). Saturn in Dhanus can be interested in many philosophies and ideas, but its tendency towards convention and authority might turn that interest into a dogmatic personality. And in the navamsa that would indicate that tendency may have occurred in past lives. 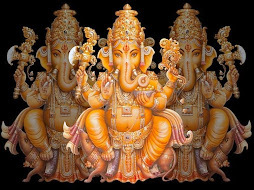 Its gift is that Dhanus/Sagittarius is connected to the vishnuabhi, the galactic center, and the individual will be able to receive information from it. Why do you ask anon? Well I wanted a second opinion on it. Saturn is positioned in Purva Ashada nakshatra in Navamsa. I read it as saturn indicating delays and the person would have a late marriage, to probably older person, the person may also be religiously inclined etc. I am learning to understand Navamsa charts. 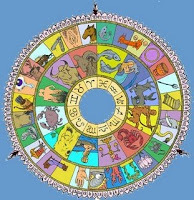 Since you seem to be a vedic astrology student I thought prehaps you might shed some light.